With small businesses and startups you need to be in a position to act quickly and make positive decisions to rapidly grow. With the development of the internet and all of it's associated technologies there are now a whole range of ways in which small businesses can make use of virtual technologies to propel their businesses forward. In this article I will be talking about a number of these innovations and how they can benefit your small business. The main virtual services that I will be focussing on in this regard are virtual offices/addresses, receptionist services and virtual assistant services. By making the best use of these new online services your small business can give itself a real competitive advantage. Get a free 7 day trial of our telephone answering service. It will change your life! Test us out for 7 days at no cost. You have very little to lose? Back in the dark old days when you set up a business you would head off to see the local real estate agents in the areas that you wanted to operate and start viewing potential properties. Once you had decided on a particular property you would negotiate with the landlord, pay a bond plus some rent in advance and set about organising to fit the office out in the style that you wanted. All of this needed to happen before you even considered starting work. Nowadays there are a lot more options available for small business owners. Rather than set up a physical office you can opt for a virtual office where you get the benefit of a prestigious CBD address with only a fraction of the cost. With a virtual office you get the opportunity to use the address on all of your marketing material, your website and your business cards and any mail that is delivered will either be redirected to another address or will be held for pickup. With a virtual address you tend to work from wherever else you want to work and just use the address as a mailing address. With a number of our address options however there is also the possibility of making use of meeting rooms (for a small fee) as well as utilising some hot desks. If you are clever in the way that you set up your virtual address you can still get many of the benefits of a prestigious CBD location at only a fraction of the cost. We are all guilty of it, you know that you have some complex work to do and you end up spending a huge portion of your time messing around with basic admin work rather than getting the complex stuff done. Unfortunately, a lot of the time it is just that the phone keeps on ringing and you just feel that you need to keep on answering it. Wouldn't it make a lot more sense if you could leave those incoming calls to a reliable source and get on with trying to make more money from your business venture. With a professional telephone answering service you can do just that. You tell us how you want us to answer your calls, how you want to have your messages delivered to you and then you simply divert your incoming number to a number that we have provided and you are ready to go. It makes good business sense for you to be focusing on the high value activities while we focus on all of those annoying calls that simply distract you from the key issues. Information is key. The more information you have on the behaviour of your customers and their preferences then the better level of service you can deliver to those customers. One great way to build your database of knowledge is to make use of a virtual assistant service. With a virtual assistant service you can have an outsourced staff member gathering information every time you make contact with a customer or potential customer. Virtual assistants can be really cost effective. Unlike actual employees you only need to pay for the time that they are actually working on your tasks, not when they are sitting around having lunch or when they are on sick leave or annual leave. 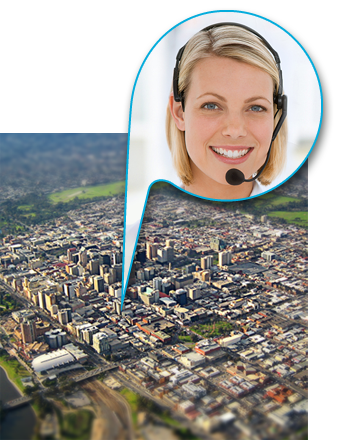 Here at Virtual Reception we charge for our virtual assistants on a per second basis. This means that the second they stop working for you you stop having to pay. Getting a competitive advantage over your competition is very much about flexibility. If you have the flexibility to easily adapt to your environment then you can have strategies in place before your competition even sees them coming. Making use of virtual services is a great way to give your small business the flexibility that it needs to adapt to those opportunistic business situations. When you need to scale things up you can do so easily with almost unlimited opportunities. Alternatively, if you need to scale things back as you have made a move in slightly the wrong direction then you can quite easily scale things back and apply resources in a suitable manner. Having employees can be really expensive for a small business. Not only do you have to pay them regularly but you also need to provide for annual leave, sick leave, long service leave and superannuation. Wouldn't it be easier if the cost was actually tied to the work being done rather than the time that an employee is sitting at a desk in your office. When you make use of virtual staff you don't need to worry about all of the on-costs. Also, if for some reason you are scaling up the amount of work that you are doing on a particular day then your virtual tea can simply expand to meet the requirement and when the work drops off the team can shrik down again. many of our corporate customers report that using virtual receptionists as opposed to using a physical receptionist quite often results in savings in the region of 40%. Virtual services allows your business to make quick decisions in terms of where you want to invest and how much you want to invest. You are not locked in for long periods of time and you can scale quickly when you need to. It makes a lot of financial sense for a small business owner. Given the way that technology develops these days there is always a real concern that the technology that you are investing in today may not be relevant in 6 months or a years time. Given the investment that is needed for telephone systems this could mean that if you are not totally up with where technology is going then you could end up investing a lot of money on equipment that is quite quickly obsolete. Fortunately, If you are using equipment and technology that is cloud based then you don't need to invest heavily in equipment of your own. This means that you don't have to worry about that equipment becoming obsolete or stopping working. On top of this, if you are using virtual services utilising cloud technology then you don't need to worry so much about the cost of repairs if anything goes wrong with that technology. One of the problems with the modern work environment is that we all feel that we need to be contactable at all times of the day and night. What this ends up meaning is that we all end up sitting at our desk, answering our incoming calls and checking emails constantly. If you decide to employ a virtual receptionist or a virtual assistant then you can actually take a little bit of time out and leave the telephone answering to a competent professional person. It then gives you the opportunity to spend time with your family, spend time with your friends or just get some R&R. Taking a break from your hectic schedule is a great way to ensure that you have the capacity to take your business where you want to take it. Think that it might make good sense to explore virtual options for your business? Why not give us a call today on 1300 893 820 and we will be happy to discuss how we can help. It's just Month to Month, so easy! Present a professional image to the world.